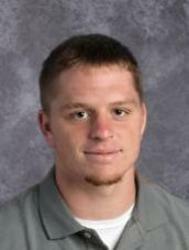 WATERLOO — A slow start went a long way toward the Waterloo West football team sustaining its first loss last week against Western Dubuque. Wahawk quarterback Cade Dodd made sure those early mistakes weren’t repeated in Friday’s matchup with Marshalltown. Dodd threw for 258 yards and five touchdowns in less than a half of action, pacing the Wahawks in a 56-14 rout Friday night. Congratulations to Senior Mario Wright and Freshman Carley Caughron who were named to this week's Waterloo - Cedar Falls Courier's Preps to Watch! 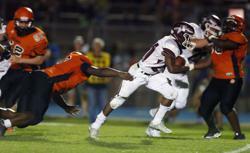 WATERLOO -- Waterloo East had started fast and grabbed the lead in each of its first four football games this season. Waterloo West took notice. Scoring on its first four possessions, West rolled to its fifth consecutive victory in the 105th meeting of the Wahawks and Trojans with a 58-6 victory Friday in front of more than 4,000 fans at Memorial Stadium. 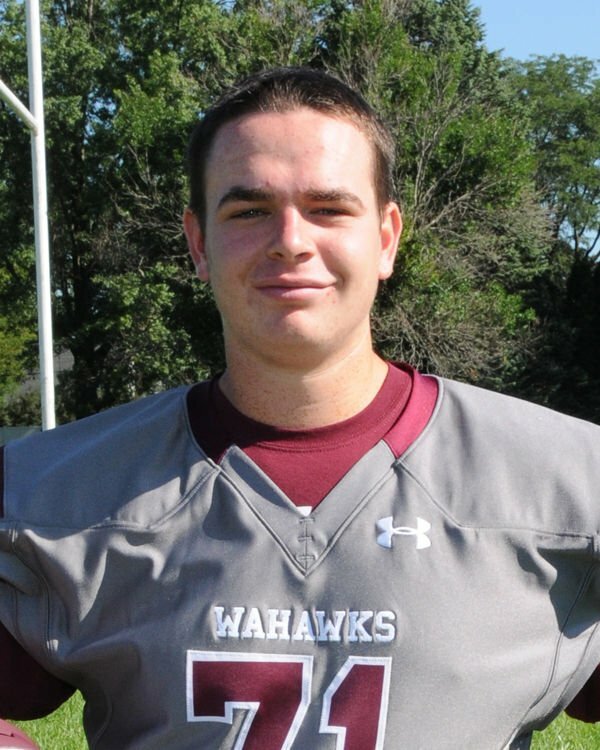 Congratulations to Senior, Caleb Dodd on being named a Waterloo-Cedar Falls Courier Prep to Watch. 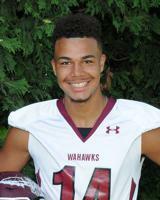 Congratulations to Senior Football player, Kalen Burt for being named a Waterloo-Cedar Falls Courier Preps to Watch! 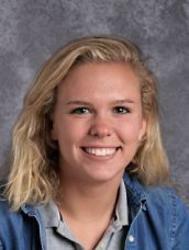 WATERLOO — Freshman Carley Caughron had a big night as Waterloo won four events in a 118-67 girls’ swimming dual loss to Dubuque Senior Tuesday night at the Central Intermediate pool. Caughron set a Waterloo West school record in the 100 butterfly, touching the wall in 1:01.38 to erase the previous record of 1:01.57 set by Taylor Pherigo in 2011. 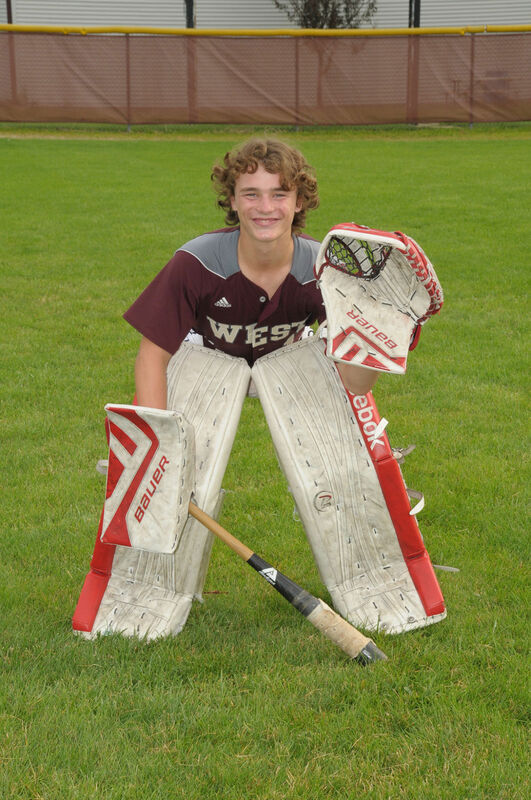 West’s Nick Joens earned second-team honors on the All-Mississippi Valley Conference teams released last week. 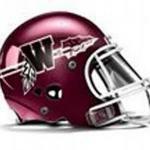 Also, Waterloo West’s Noah Susong and Cameren Happel were honorable mention selections in the Mississippi Division. Nick Joens was also named to the All MVC All-Academic Team along with Dylan Moore. 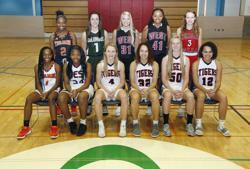 West High Senior, Sydney McFarland and Freshmen, Lauren Conrey, were both named Honorable Mention in the All-Mississippi Valley Conference Mississppi Division. McFarland was also named to the All MVC All-Academic team along with Junior, Brooke Stackhouse. THE LINEUP – Participated in football, wrestling and track and field. AN HONOR ROLL – INA all-state linebacker and three-time all-district and All-Metro honoree. 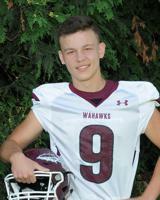 Finished senior season with 86 tackles, 11 for loss, for the 8-2 Wahawks. Two-time state wrestling qualifier, placing fifth his senior season. Honor student. ON DECK – Will attend Ellsworth Community College and compete in football. 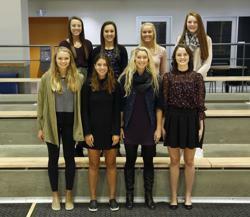 THE LINEUP – Participated in volleyball, track and field, softball and basketball. AN HONOR ROLL – Two-year volleyball starter and honorable mention all-conference selection. Academic all-conference. Four-year, multi-event state track and field qualifier. Capped senior season with sixth-place finishes in the state 4A 4x200 and 4x100. Qualified for the Drake Relays 4x100 and placed seventh in the Drake 4x200 as a senior. ON DECK – Will attend Upper Iowa University and compete in track and field. Waterloo West had three players named to the 2017 All Metro Baseball Team as chosen by the head coaches at Cedar Falls, Waterloo West, Waterloo East and Waterloo Columbus. Noah Susong led West with a .308 average. The sophomore blasted a pair of home runs while also tallying 10 doubles and five triples. Nick Joens batted .299 with a team-best 21 RBIs, and fellow senior Cameren Happel batted .273 while playing solid defense for the Wahawks behind the plate. 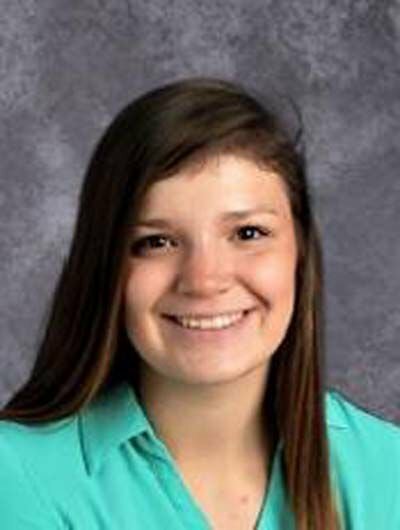 Waterloo West had two players named to the 2017 All Metro Softball Team as chosen by the coaches of Cedar Falls, Waterloo West, Waterloo East and Waterloo Columbus. Lauren Conrey led the team with 35 hits and a .324 average. The freshman also smacked 4 home runs and led the team with 24 RBI's. Senior Sydney McFarland finished the season with a .321 average, 3 home runs and a .950 fielding percentage playing a solid Center Field for the Wahawks. 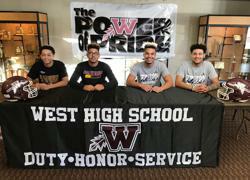 WATERLOO — Lonnie Moore is in no rush to decide which players he will send onto the field as his starters when Waterloo West opens its 2017 high school football season Friday at Dubuque Senior. DUBUQUE — Waterloo West used its quickness in the open field to scoot past Dubuque Hempstead 33-7 Friday night in a non-district high school football game. 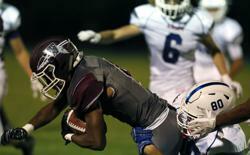 The Wahawks improved to 2-0 on the season, while the Mustangs fell to 1-1. Camryn Meyer led the Waterloo Girls Cross Country team with an eighth place time of 22:54 to earn All Metro. Ireland Frisch and Victoria Knight also earned all-metro team honors with ninth and 10th place finishes. On the boys side, Seniors Clayton Streed and Cody Samuelson led Waterloo West with fifth and sixth place finishes, while senior leader Sam O’Brien also earned all-metro with his 10th place finish. DUBUQUE — Waterloo West took control in the second half and won its football season-opener on the road at Dubuque Senior Friday, 28-13. 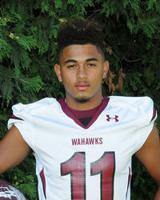 Congratulations to Senior, Adijan Muhamedagic on being named a Waterloo-Cedar Falls Courier Prep to Watch. Adijan Muhamedagic's 49-yard field goal with 1.5 seconds left gives the Wahawks a shocking 38-35 win over Washington in the regular-season finale at Kingston Stadium. West scores 18 points in the final 1:13 for the unbelievable come-from-behind win!! 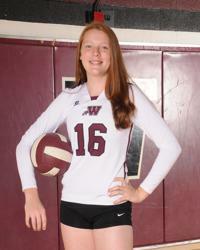 Waterloo West’s Kaylissa Arndorfer was named to the MVC second-team in the Mississippi Division. Mary Smith and Shelby Schoonover received Honorable Mention while Smith and Morgan Ubbelohde were named to the All Academic Team. 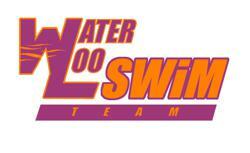 Led by Waterloo Swim's Madelyn Solomon and Taylor Hogan seventh place finish and Lauren Kimball's 16th place finish, Waterloo received 24 points which gave them a fourth place finish. Congratulations to Kaylissa Arndorfer for being named to the All-Metro 1st Team. Shelby Schoonover was also named 2nd team and Mary Smith and Riley Porter were both Honorable Mention. 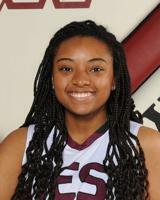 Congratulations to Junior NaTracia Ceaser for being named a Waterloo-Cedar Falls Courier Prep to Watch! 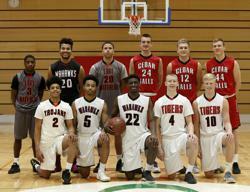 Congratulations to Carondis Harris-Anderson, Zia Collett and J.P. Richmond for being named Waterloo-Cedar Falls Courier Preps to Watch!! Congratulations to Junior Jada Draine for being named a Waterloo-Cedar Falls Courier Prep To Watch! Congratulations to Seniors Aleah Cook and Dalton Draeger for being named Waterloo-Cedar Falls Courier's Preps to Watch! Carondis Harris-Anderson scores 1000 points! Congratulations to Senior Basketball player Carondis Harris-Anderson for scoring 1000 points and becoming West High's All-Time career scoring leader! 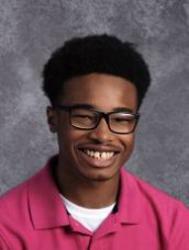 Congratulations to Sophomore basketball player, Isaiah Johnson, for being named a Waterloo-Cedar Falls Courier Prep to Watch!! Congratulations to Kalen Burt, Lauren Conrey and Chase Pabst for being named Waterloo-Cedar Falls Courier Preps to Watch!! 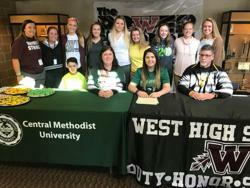 Colleen Duffy, a starting 3rd baseman for the Waterloo West Wahawk Softball team, has signed her Letter of Intent to continue her softball career at Central Methodist University. Central Methodist University is a NAIA Division I school in Fayette, Missouri. The Eagles are a member of the America Athletic Conference. Colleen is a four year letter winner who has played on West High's Varsity softball team since she was an incoming freshman and has received All Conference and All Metro Honors. 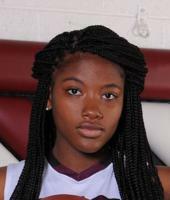 Junior Na'Tracia Ceaser was named to the All Mississippi Valley Conference First Team as voted on by the conference Girls Basketball coaches. 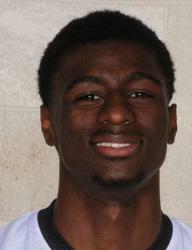 Ceaser was the leading scorer for West at 15.9 points per game. She also averaged 4.8 rebounds and 2.4 steals. Lauren Conrey was named to the 2nd Team. Conrey, just a Sophomore, averaged 8.8 points per game and averaged 5.1 assists and 3 steals per game. Her 118 assists on the season ranked her 3rd in all of 5A. Junior Jada Draine and Senior Aleah Cook were named Honorable Mention. Draine along with Junior Kaitlyn Meyer were named to the All Academic Team. Senior Carondis Harris-Anderson was named to the All Mississippi Valley Conference 1st Team as voted on by the MVC coaches. Harris Anderson was West’s leading scorer at 22.2 points per game, shooting 50.5 percent overall and 38.4 percent from behind the arc. He also led the Wahawks in rebounding at 6.5 per game and averaged 2.0 assists. Senior Kalen Burt and Sophomore Isaiah Johnson were named Honorable Mention. Seniors Todd Keller and ShauRome Taylor were named All Academic. Congratulations to Junior Na'Tracia Ceaser for being named to the Girls Basketball All Metro 1st Team while Junior Jada Draine and Sophomore Lauren Conrey were both named to the 2nd Team. Seniors Aleah Cook and Zia Collett were both named Honorable Mention. Congratulations to Senior Carondis Harris-Anderson for being named to the 4A All State 2nd Team by the Iowa Print Sports Writers Association. Harris-Anderson finished his career with 1,288 points at West High. The Wahawk senior averaged 21.6 points while shooting 50 percent from the field this past season. 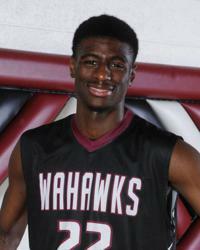 He also led the Wahawks with 6.5 rebounds per game and ranked among the team leaders in assists, steals and blocks. Congratulations to Senior, Carondis Harris-Anderson and Sophomore Isaiah Johnson for making 1st Team All Metro while Senior Kalen Burt was named to the 2nd Team. Sophomores Jaden Keller and Nick Pepin were named Honorable Mention.